I've kind of taken a step back from powder bronzers and have started to embrace cream bronzers instead. It just looks more natural to me and if I do want to something more, I can always add a powder product on top. I've also gotten kind of lazy with brushes and so I like that I can just use my fingers with these products and everything will still blend out perfectly. Just as a reference, some of my foundation matches are below to help gauge if these bronzers could work. The first product I'm going to talk about is the most fancy and it's the Chanel Soleil Tan de Chanel Bronzing Makeup Base. It's a cream-gel formula and there's a tiny tiny bit of shimmer running through it. It can be worn over and on top of makeup, but I prefer to use it on top since it doesn't seem to show up that well under my foundation. It adds a touch of warmth to my skin, but it is definitely a product for light to very light-medium skin tones. I barely get away with using it, but it's not really going to show up if you're darker than I am. Other than that complaint, it is a nice product and I do enjoy using it. It feels so thin and light weight on my skin and gives such a natural warmth to my face. This product is more on the warm side and so I have read reviews about it turning orange on those who have a lighter skin tone than mine. The Cover FX Enhance Click Highlighter in Gilded is shimmery bronzer that's so gorgeous. The formula is part of the highlight version of the click sticks and so it does have that glow and shimmer that might get out of hand if you go too crazy with it. The texture is smooth and creamy as well and so it's really easy to blend out. One of my favorite things about this product is how compact and travel friendly. The slim bullet of product makes it so easy to apply directly from the tube. For a more contoured look, the Pony Effect Shading Arti-Stick in Confidence would be my go-to choice now. 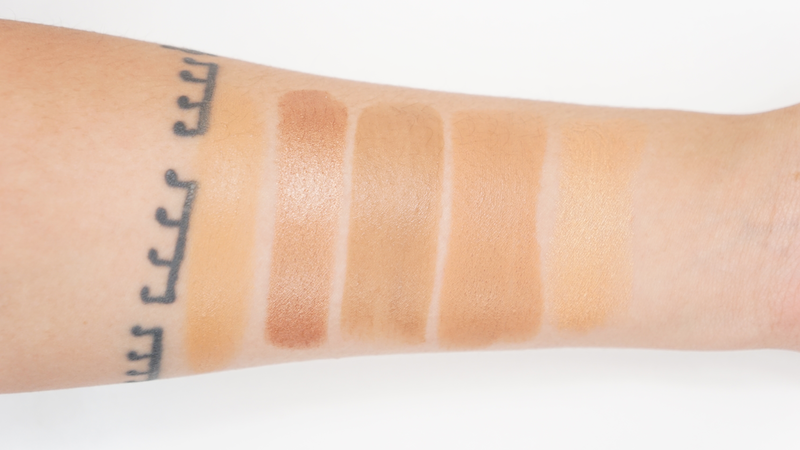 It first swatches more on the cool toned side, but then blends out to be more neutral since my skin tone is pretty warm. I'm always so interested in shading products found in Asian Beauty since they give such a naturally contoured look. But also like with other AB products, it's more on the light side and so it's definitely a product aimed for those who have light to maybe medium skin tones. Right now, I can only find a link to purchase the Pony Effect Arti-Stick in Confidence on Amazon ($28), but it's through the Memebox / Pony Effect seller and so it's safe! 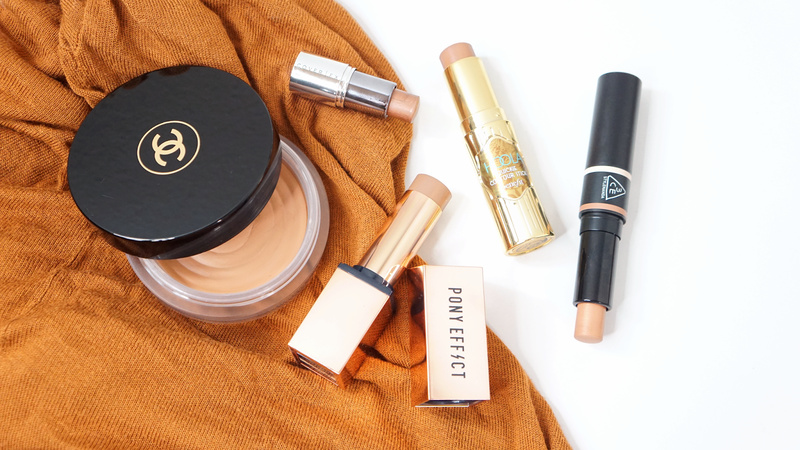 If you enjoy using the Benefit Hoola Bronzer, you're also going to like the Benefit Hoola Cream - To - Powder Quickie Contour Stick since they're similar tones and easy to use. Like with the other products I've mentioned, this is also a medium skin tone and under product. The formula kind of feels like the Chanel bronzer but a bit more matte (but not fully matte) since it has a cream to powder finish. While the name says it's a Contour Stick, it is on the warm side and so I use it more as a bronzer and maybe like a bron-tour to bronze and very slightly contour my face. The lightest cream "bronzer" I have is the 3CE Duo Contour Stick in #2. 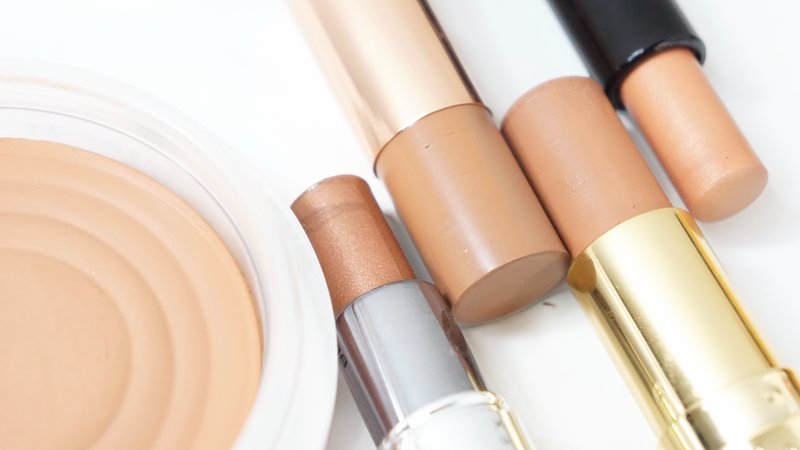 The bronzer side is a light shimmery bronze shade and I mostly use this to add a bronzey highlight with the other cream bronzers in this post. Since the product is lighter in tone and with a more fine shimmer than the Cover FX bronzer, it's perfect on top of my cheekbones. It blends and fits in perfectly when I don't want to use my other traditional highlighters. As you can see, I'm very into cream products and try out new ones! Do you have any of these products? What's your favorite cream product? Getting Ready And Started With Glossier!